Well hi there. Did everyone have a wonderful weekend? I surely did. It was fairly low key which was just what I needed. In case you missed it, here are the weekend’s posts which include two zucchini recipes! As you’ve probably noticed, I usually recap the previous day’s endeavors in my posts rather than on the day of. With that being said, I will now be recapping Sunday for you. Here we go! 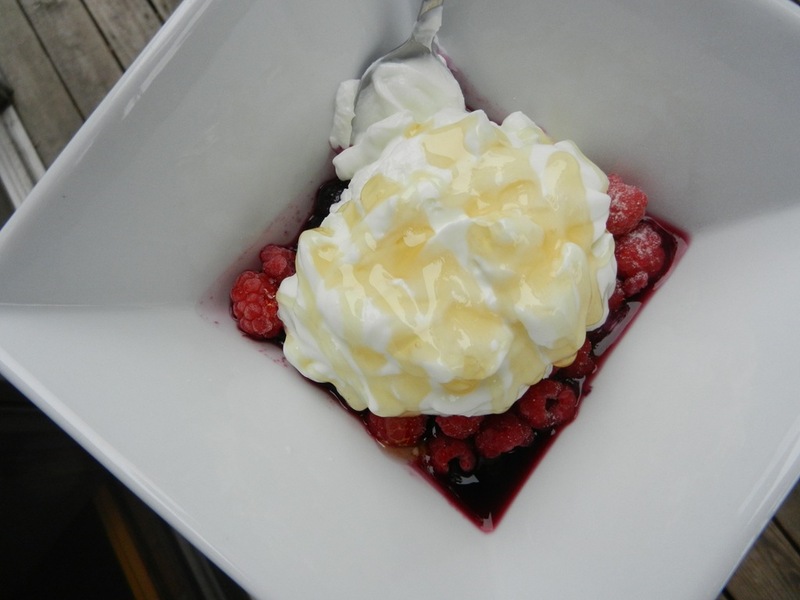 It was time to experiment with an old favorite, the Greek yogurt fruit bowl. A breakfast that I seriously ate day after day for a good month or two before moving on to my next obsession which I believe was the overnight chia seed bowl. 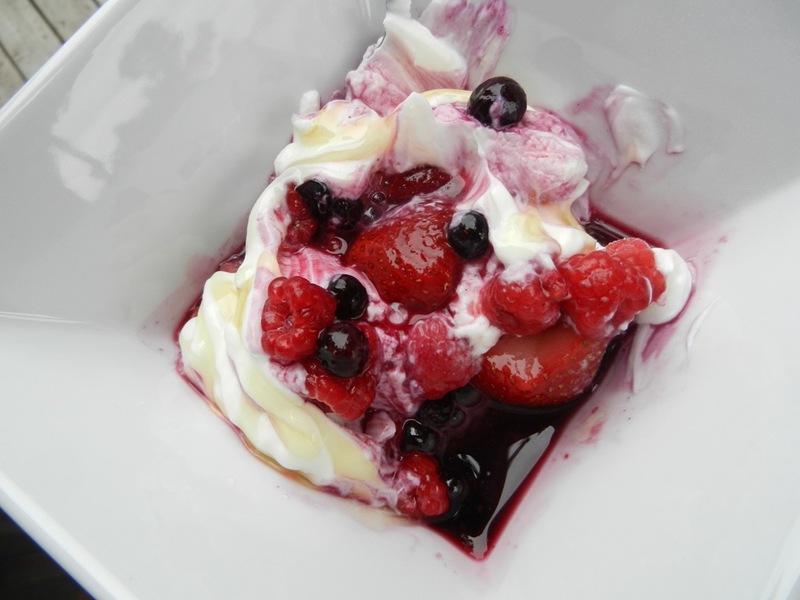 In this beautiful bowl: raspberries, blueberries, strawberries, Fage 0% Greek yogurt drizzled with honey. YESsssA! The good news, is that this sat perfectly well in my belly. After breakfast we did our usual Sunday gig with coupons and grocery stores. When we got home at 11:00, I was ready for lunch. 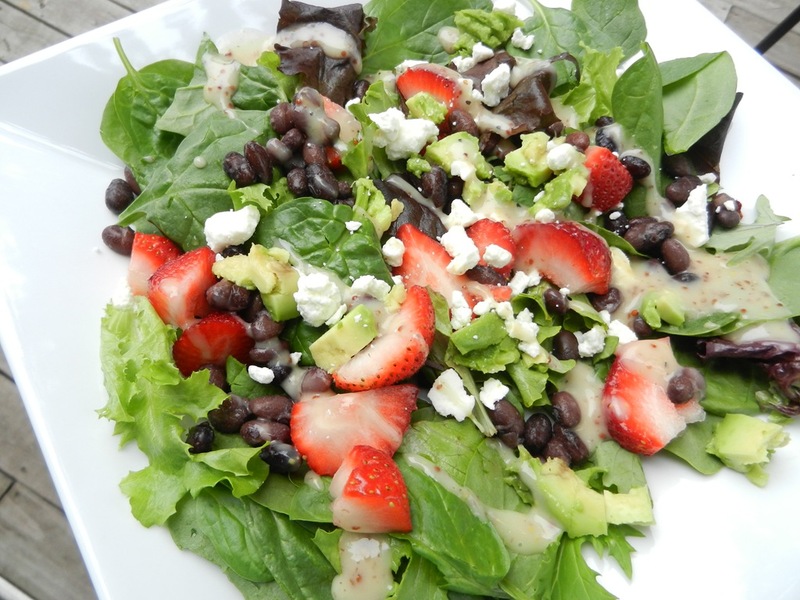 I made myself a strawberry salad with avocado, black beans, feta cheese, and honey mustard dressing. I loved every bit of it as usual. 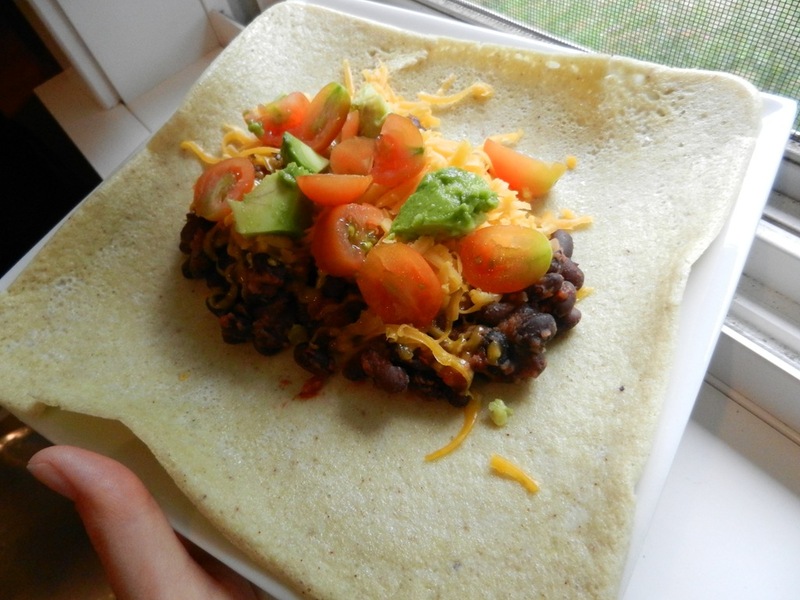 As I was making my lunch, Dana was busy experimenting with a SCD tortilla so that he could make himself a burrito. I found a recipe a while ago and have wanted to try it but haven’t gotten around to it. He got to work on making the SCD tortilla which was actually pretty easy. It took a total of about 17 minutes. Basically you just mix all the ingredients together and bake in a well-greased pan for 15 minutes at 300°. Here was his burrito. Not too shabby! In the afternoon we cleaned the house, I did some food prep, and we ran a handful or errands in record time. Then we headed to my in-laws to visit with them for a bit. By the time we got home it was nearly time for dinner, so once again I found myself in the kitchen (I really do enjoy food prep btw so this isn’t a big deal usually; only when I feel like I’m LIVING in the kitchen is when I get bothered by it). 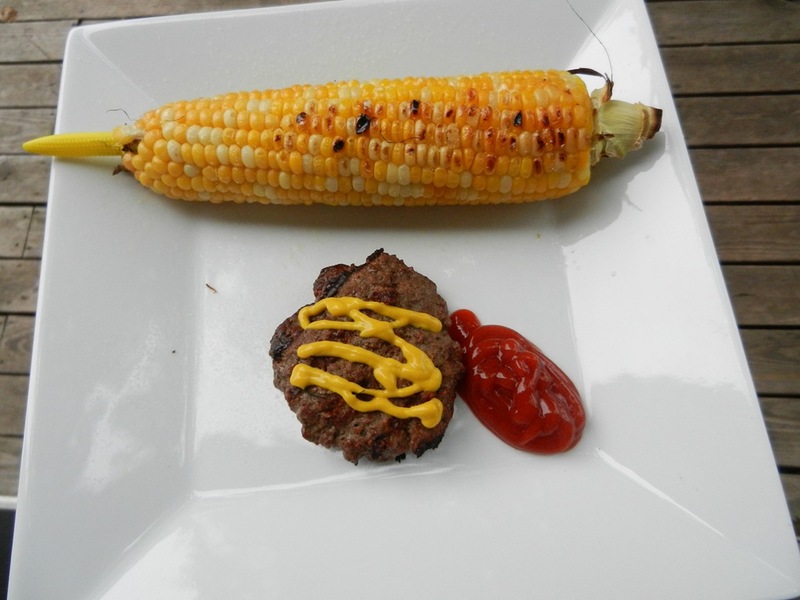 On the menu was a very simple meal of grilled corn on the cob and bison burgers. When we went to the Farmer’s Market a couple of weeks ago we bought a pound of farm fresh ground bison and have had it in the freezer since then. It was time to give it a taste. 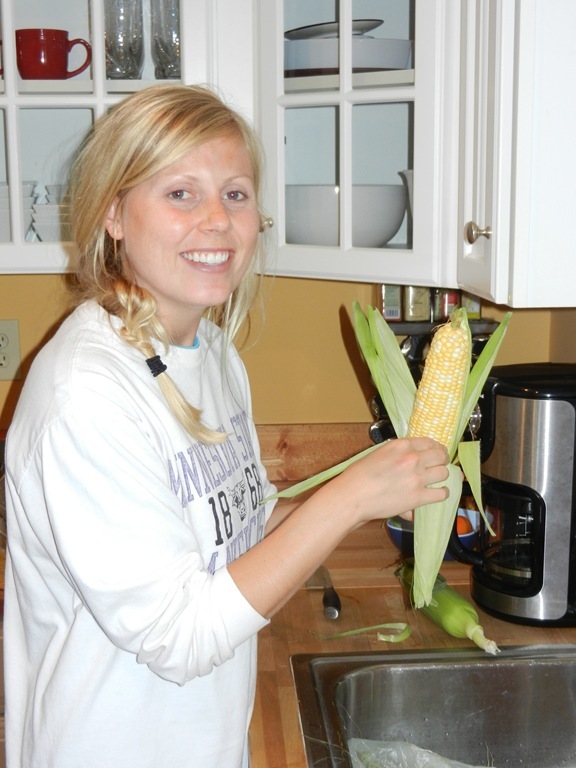 I got to shucking the corn. Is that not the best word? Shucking. We seasoned the bison burgers simply with Worcestershire sauce, onion powder, salt and pepper. Dinner was so easy and so delicious. 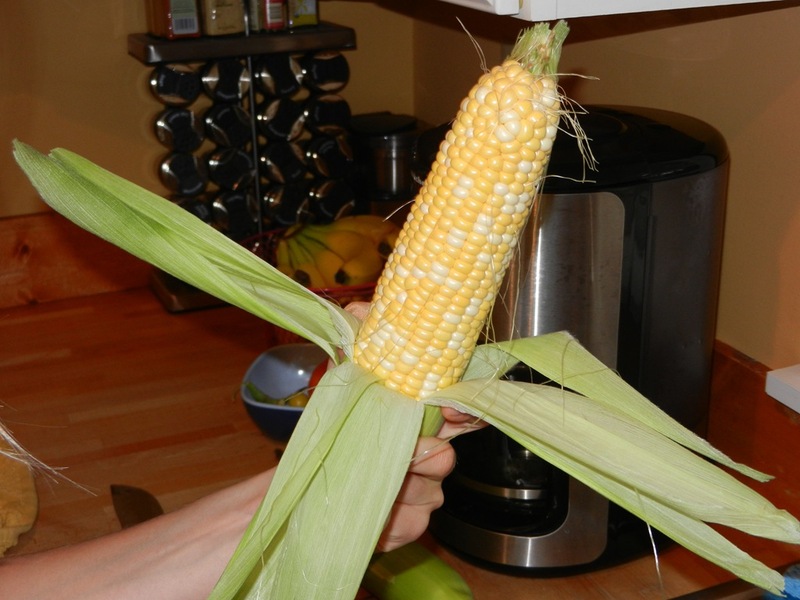 This was my first corn on the cob this summer because it was not allowed on the SCD, but since I have modified the diet, I am allowing myself to enjoy it, and that I did. Something happened after dinner…two Dairy Queen blizzards just showed up at our house and it just so happens that we both LOVE DQ. I wasn’t going to let this summery treat go to waste. 😉 I loved every bite of this double fudge cookie dough blizzard. 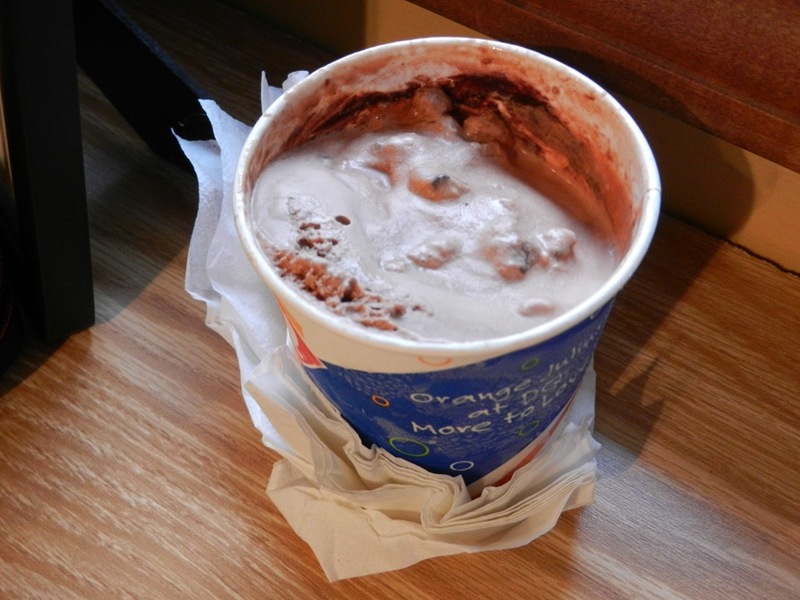 I will be cooling it again on the ice cream front, hopefully. It is just so refreshing and lovable in the summer I can’t help myself! Did everyone watch the Olympic’s closing ceremony last night? I turned into my 12 year old self as soon as Spice Girls hit the stage. Spice up your life! Loved it. Now we all know it’s Monday, and in lieu of Monday, I have another terrible joke for you courtesy of this site. Q: Why did the cowboy adopt a wiener dog? 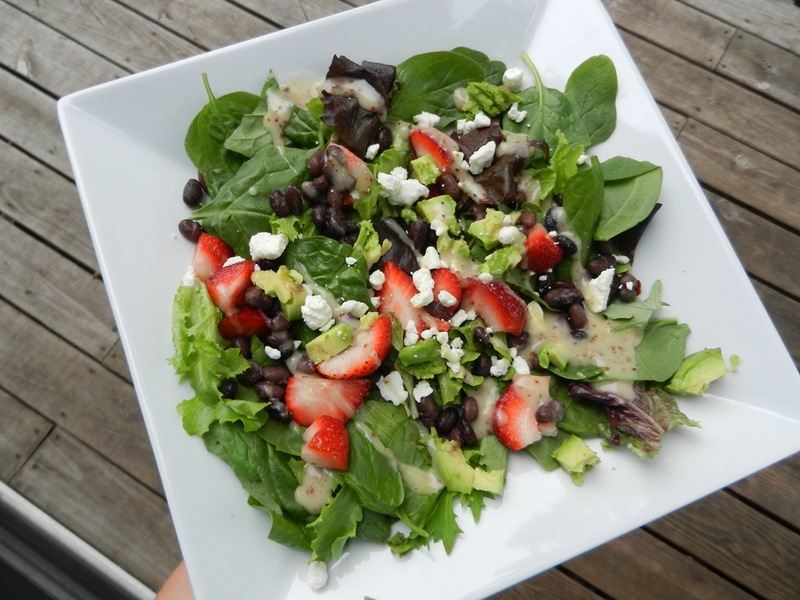 This entry was posted in Breakfast, Dinners, Sweet Treats and tagged FAGE, Ice Cream, Salads by Melanie. Bookmark the permalink.